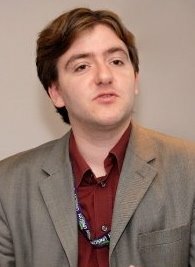 Andrew Copson works for the British Humanist Association on education and public affairs. Andrew coordinates the BHA’s campaigns for a secular state, for an end to religious privilege and discrimination based on religion or belief and for a rational humanist perspective on public ethical issues. He also coordinates the BHA’s education work promoting understanding of Humanism as a non-religious worldview both in formal school and college curricula and to the public at large. He has written on these issues for The Guardian and New Statesman as well as various journals and is a Member of the Chartered Institute of Public Relations, a Fellow of the Royal Society of Arts and an Associate of the Centre for Law and Religion at Cardiff University.